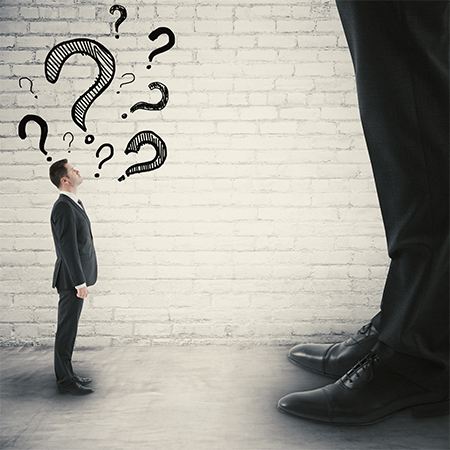 Small law firms seem to get left in the dust when they try to compete with larger law firms that have the advantage of more attorneys and bigger marketing budgets. In small communities and rural areas, that can sometimes even mean losing clients to bigger law firms in the next town over. Is that fair? Is it just a fact of life that bigger law firms will always do better than solo and small firms? The answer is a resounding no. Through strategic digital marketing, small law firms can have the upper hand over even their biggest competitors. Get involved with the community. Small law firms are usually focused on a smaller geographic area, and they know their towns and cities better than any national law firm could. Smaller towns and rural areas have a very strong sense of community, and most people prefer to hire an attorney who is local. Claim your local listings, and let people know that you’re nearby by taking advantage of local news sponsorships and opportunities. You can also get involved with local charities, and leverage the PR to increase your local visibility. Develop a strategy for review generation. Large law firms almost always have reputation issues because they don’t communicate with their clients enough. Small firms can do a much better job getting quality reviews because they often have a much more personal relationship with their clients than a big firm could ever dream of. By developing a strong review generation process, you’re really showing off what you do best and opening conversations that will help you do even better. If you’re an FWM client, don’t forget that you can also use DSS to get feedback and encourage reviews. Remember the human. It’s the personal touch that really makes businesses stand out in the minds of their clients, especially local clients. Attorneys with small law firms understand that every person they meet is potentially a future client and treat them accordingly. Big law firms just add all their contacts to a big, impersonal newsletter list. The lesson here is that small firms can be much more personalized when they follow up with potential clients, and those personal relationships they build in their communities will keep them top of mind over their competitors. Use email campaigns to your advantage. Email campaigns are highly effective, but crafting the perfect email can be a time-intensive endeavor. You don't have time to blast out a ton of one-time emails! Instead, you can set up quality email campaigns ahead of time so you don’t have to constantly worry about that stuff. If you set up email campaigns and follow-up sequences that work for you, you'll love yourself for it later. Do you need ideas or want to improve your existing emails? Find out what makes follow-up campaigns succeed or fail. Do all the little things well. Big firms often try to do too much, and that can result in a lot of half-baked ideas. Smaller firms don't have the same luxury, so everything they do should be well thought out and have a purpose. Instead of blindly following the crowd just because you saw someone else do it, your small firm needs to be focused and practical in all you do, no matter how small a part of your overall strategy. This way, you free up time and resources to do what is most important—and do it well. Are you feeling like your law firm is the underdog in the digital marketing game? We focus on proven methods and measured momentum that helps law firms of all sizes get ahead. Want to get started? You can get solid tips and guidance by signing up for a free FWM marketing analysis, where you’ll find out how you’re doing on the Web, what’s working for you, and how to improve your digital strategy for the future.